Mazda Service and Repair in Holly, MI | Armstead Automotive - Armstead Automotive Repair and Service Inc.
Are you a Mazda driver looking for a great auto mechanic in Holly or the surrounding communities of Grand Blanc, Flint, or Fenton? 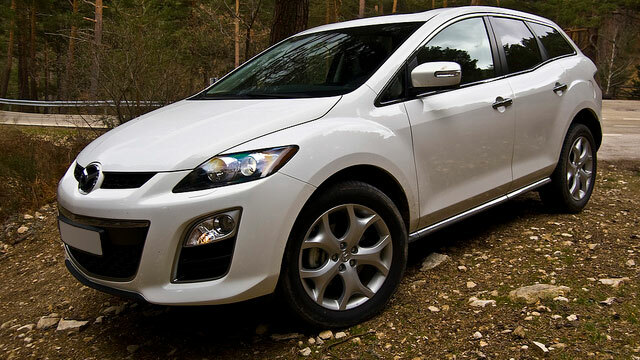 Then you need to bring your Mazda to Armstead Automotive Repair in Holly for the best Mazda auto repair around! When you bring your Mazda to Armstead Automotive Repair, you can trust that our Master-Certified ASE auto mechanics are going to do right by you and your car: each and every time, each and every auto repair. We stand by our work! If we work on your car, then we will always back up our work--and we get it right, the first time! Mazdas are great vehicles to drive and enjoy a great reputation within their cadre of loyal owners. You need an auto mechanic that is as innovative as your car, and just as easy to work with! You can improve the life of your Mazda in a big way by partnering with a competent auto mechanic, and Armstead Automotive Repair in Holly is the answer to all your auto repair questions!